With the rise of image-heavy social networks like Instagram even the tech illiterate are using all kinds of tools to spice up their photos by adding filters, cropping them to the perfect size and whatever else is needed to create nice picture. 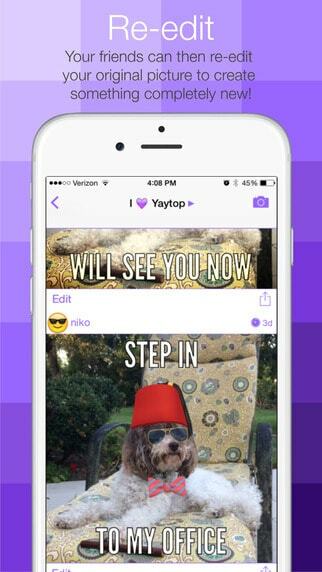 If you and your friends are always editing pictures to see who comes up with the best one, I suggest you take a look at Yaytop. The concept of this app came from University of Michigan students Niko Natsis and Aaron Nussbaum who talked to TechCrunch about their endeavor. 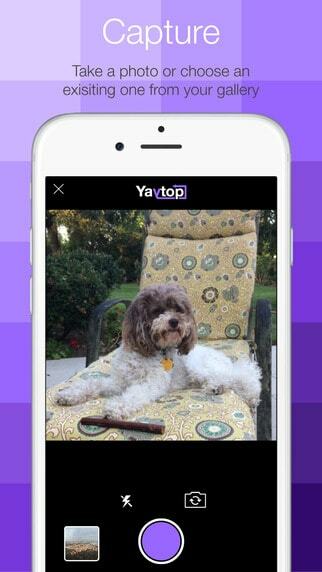 The premise is simple: pick a picture, send it to a group message via Yaytop and let the app’s editing tools vitalize the imagination of you and your friends before posting the final creations to social media. The tools at your disposal might not be as advanced as a dedicated photo editing application but they are more than enough to create funny images with captions or neat filters. When you post an image you will also have to choose how long it stays in the group chat (three, seven or fourteen days) which means you can share the image back and forth for quite some time. Some of the images you post will never make it past Yaytop and that is absolutely fine as long as there is some interaction between your group of people. Obviously, Yaytop has some bigger plans for the road ahead. 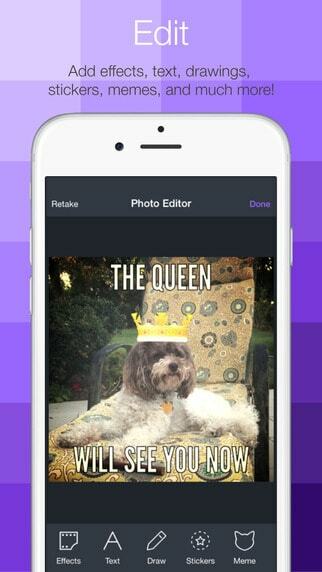 While it currently puts emphasis in editing and sharing pictures with friends, you can already see the foundations for a niche messaging app. 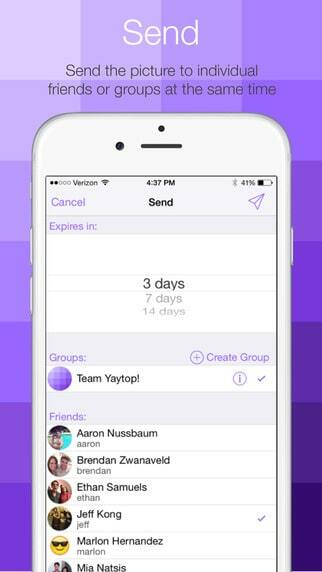 You might think of it like an alternate version of Snapchat where photo sharing is encouraged but kept lighter. You can even think of it as a dedicated social tool with a picture twist. Regardless of how Yaytop will turn out, the app is definitely worth a look, especially if you convince a handful of friends to join you. And seeing as how the app is free on iTunes, it just might work.